Travel is good for lots of things, I feel happy when I'm gaining new experiences, cultural and leave with new skills. One of my favorite travel destination is Seoul, South Korea because of it being the country’s capital, you’ll find an abundant number of historic and attractions in the city. 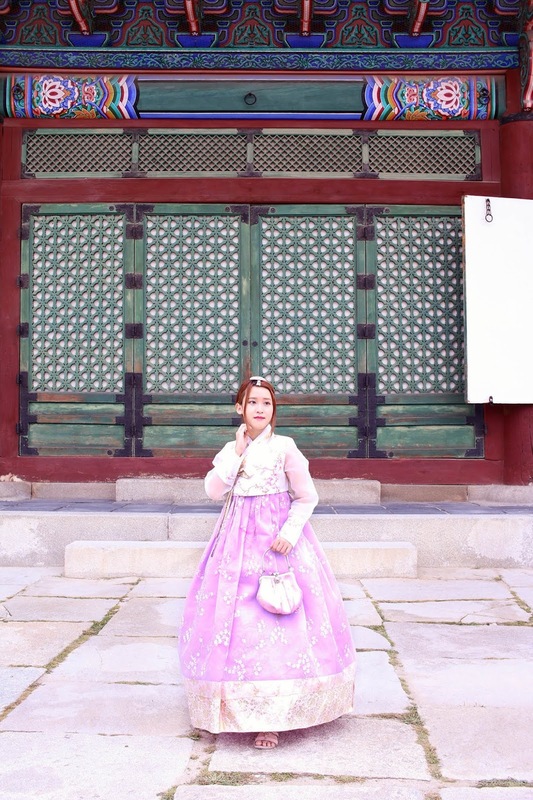 Gyeongbokgung Palace is the must visit place in Korea among foreigners. 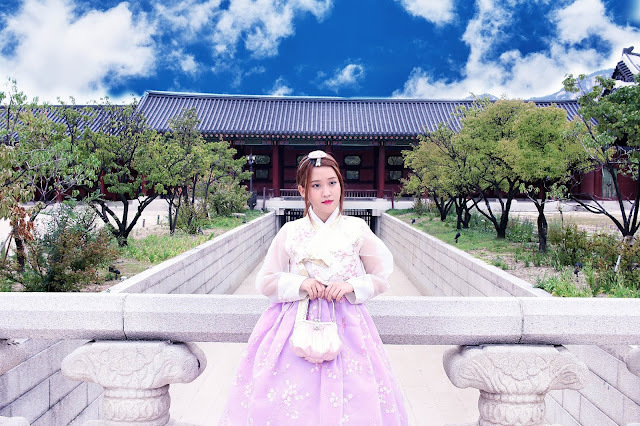 Gyeongbokgung (Hangul: 경복궁; Hanja: 景福宮), also known as Gyeongbokgung Palace or Gyeongbok Palace, was the first and largest of the royal palaces built during the Joseon Dynasty. Built in 1395, Gyeongbokgung Palace was located at the heart of newly appointed capital of Seoul (then known as Hanyang) and represented the sovereignty of the Joseon Dynasty. 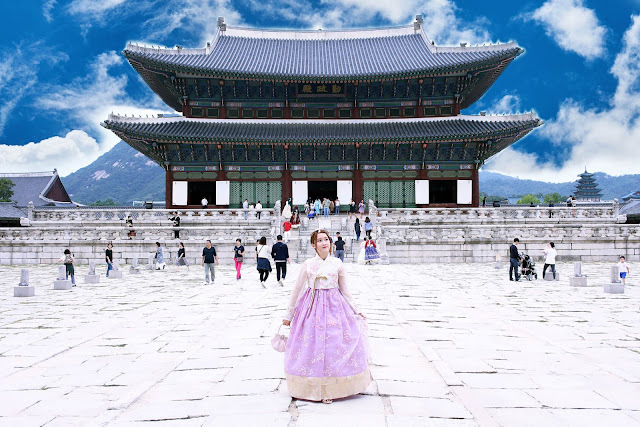 The largest of the Five Grand Palaces (the others being Gyeonghuigung Palace, Deoksugung Palace, Changgyeonggung Palace, Changdeokgung Palace), Gyeongbokgung served as the main palace of the Joseon Dynasty. 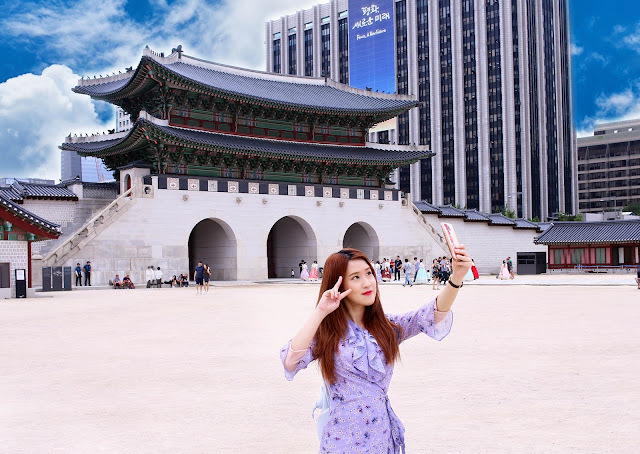 - Take Subway Line 3 to Gyeongbokgung Station (Exit 5). - Take Subway Line 5 to Gwanghwamun Station (Exit 2). Gwanghwamun Gate is the imposing main gate of Gyeongbokgung Palace. The gate has been rebuilt many times over the years but remains an icon of Seoul. 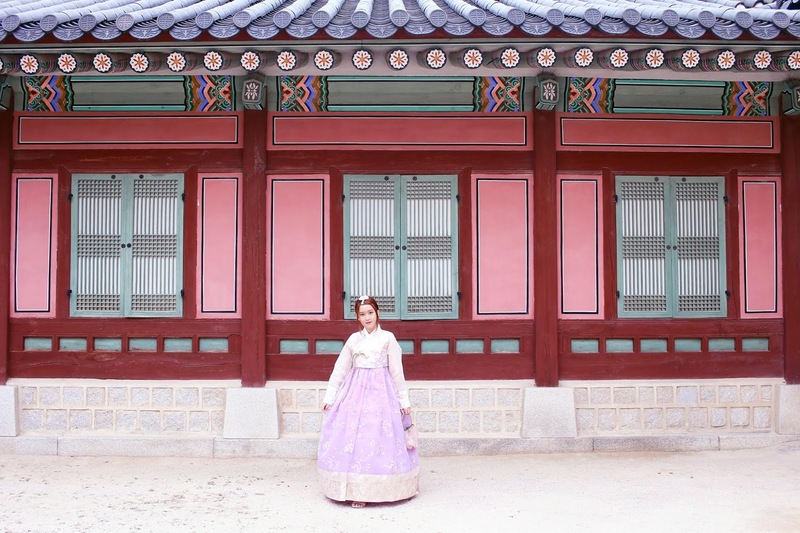 Construction began in 1395 at the beginning of the Joseon dynasty. It quickly became one of the most important gates of the Joseon Dynasty since it guarded the main palace. Geunjeongjeon Hall is the main throne hall of Gyeongbokgung Palace. Originally built in 1395, it is now the largest and most formal hall at the palace. The name translate to "all affairs will be properly managed if Your Majesty demonstrate diligence." Heungnyemun Gate is the second gate into Gyeongbokgung. 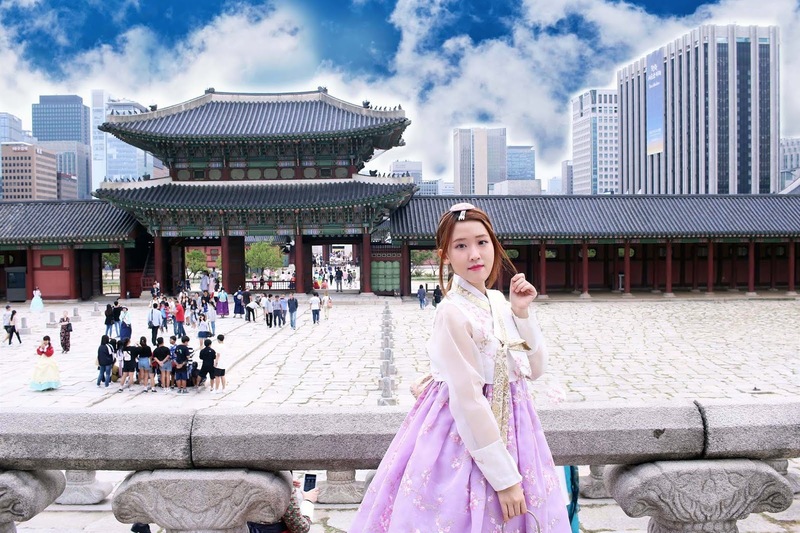 It is located just past Gwanghwamun Gate. When originally built in 1426, it was known as Hongnyemun. It was not renamed to Heungnyemun until 1867 when Gyeongbokgung Palace was rebuilt under the orders of Prince Regent Heungseon Daewongun. Heumgyeonggak Pavilion, built in 1438 during the reign of King Sejong, was used by the king for astronomical and agricultural observations and research. Heumgyeong means "respectful veneration of the ways of heaven." Yeongjegyo Bridge with two stone arches, is located just north of Heungnyemun Gate. The Japanese General Government Building once stood at this location. The building was the seat of the Governor-General of Korea who administered Korea under Japanese imperial rule. This building was demolished between 1995 and 1996. Free guided tours in English are available at 11:00, 13:00, and 15:30. Meet at the information center next to the main entrance. Tours are also available in Japanese (10:00, 12:30, 14:30) and Chinese (10:30, 13:00, 15:00). The Changing of the Guard ceremony takes place at 10:00, 11:00, 12:00, 1:00, 2:00, 3:00 between Gwanghwamun Gate and Heungnyemun Gate. Cost is free. This palace is included with the Integrated Ticket Of Palaces. I also recommended you to rent a hanbok, Korea traditional costume. 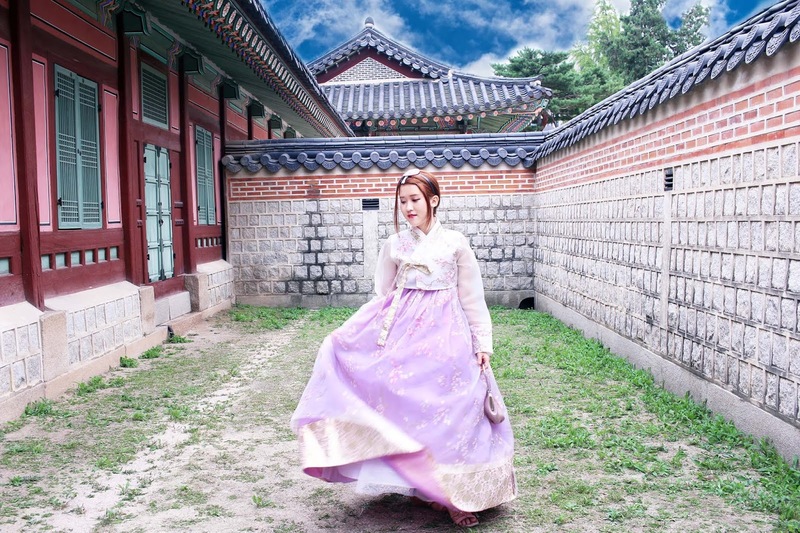 There have a lot of Hanbok rental near Gyeongbokgung Palace. After that, take a lots of pictures in Gyeongbokgung Palace and Have fun! 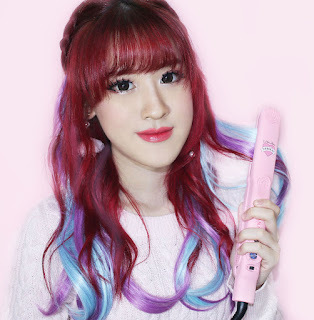 amulets-for-money.com Solusi Terbaik Bagi Siapapun Yang Menginginkan Kegiatan Atau Bisnis Apapun Yang Anda Kerjakan Menjadi Berkah Dan Menghasilkan Banyak Uang.